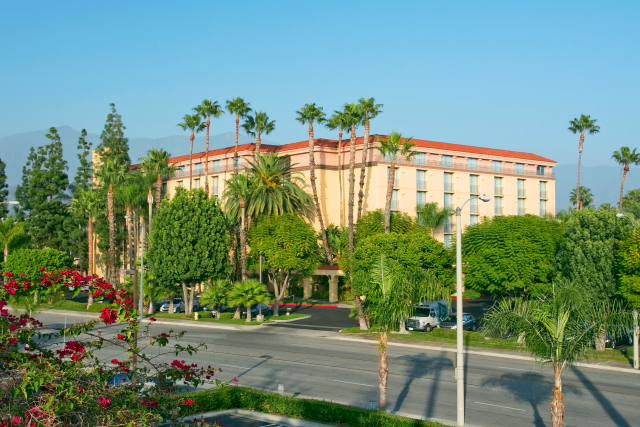 Welcome to the newly renovated Embassy Suites Arcadia Pasadena Area, conveniently located near Pasadena, Monrovia, Irwindale and City of Industry. Discover Santa Anita Park, the Los Angeles County Arboretum and Botanical Gardens, Santa Anita Racetrack, Norton Simon Museum and Huntington Library Gardens. We provide complimentary transportation within a 7-mile radius based upon availability. 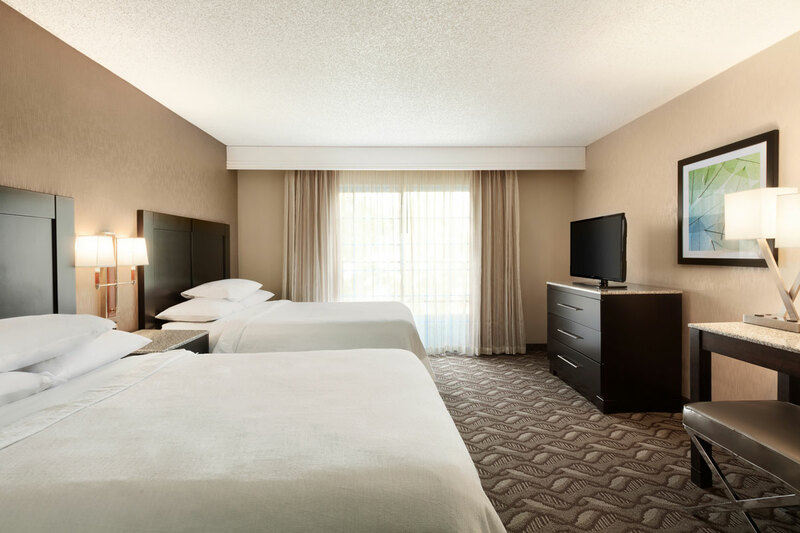 Our newly renovated two-room suites include a separate living area, private bedroom, two flat-screen TVs, desk and complimentary standard WiFi. Enjoy a complimentary made-to-order breakfast and evening drinks and light snacks at the Evening Reception*. Our restaurant offers American cuisine featuring seafood, salads and desserts. We provide a fitness center, indoor pool, whirlpool and BusinessLink™ business center. Hold meetings, receptions and family celebrations in a versatile function space for up to 480 guests.